It’s here! 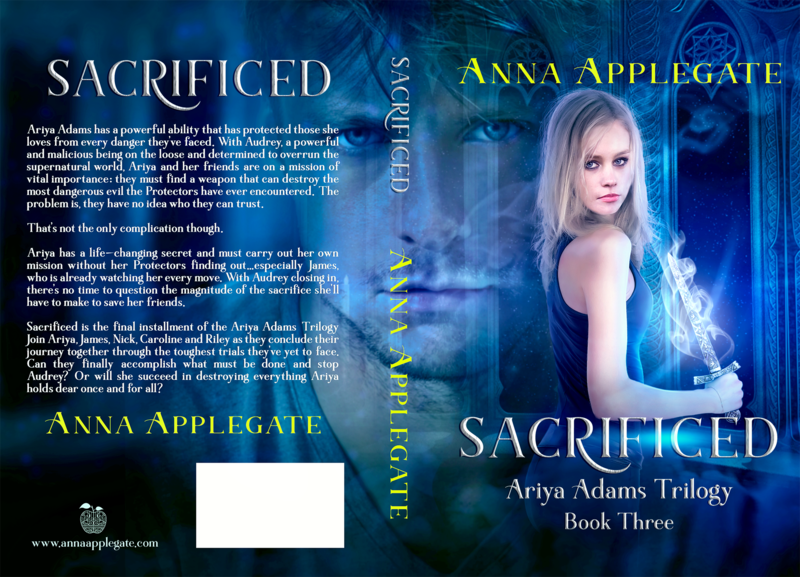 The Cover Reveal for Sacrificed, the final installment in the Ariya Adams Trilogy! Without further ado…here they are!! You can find both the E-book and Paperback versions below! EEK! Another BIG THANK YOU (I feel like I can’t say it enough) to Cover Me Pretty for their incredible design work! Happy Thanksgiving & Lots of Updates — Are you Ready? Happy Thanksgiving everyone! First and foremost, I hope you all have a safe and wonderful Thanksgiving surrounded by family, friends and loved ones! Black Friday Sale!!! Protected (Book 1 in the Ariya Adams Trilogy) will be available for FREE on Amazon starting this Friday (24 November) – Sunday (26 November)! Click here to bookmark where you can get your FREE copy and start your journey with Ariya and the gang! I joined Instagram! I’m doing Giveaway to get some excitement going about it! Check it out and enter for a chance to win a $5 Amazon Gift Card ~OR~ an e-book copy of Awakened (Book 2 in the Ariya Adams Trilogy)! This Giveaway will be open starting TODAY and run through Monday the 27th! Sacrificed Cover Reveal will launch on all Social Media Platforms Tuesday, 28 November (that’s less than a week away)!! 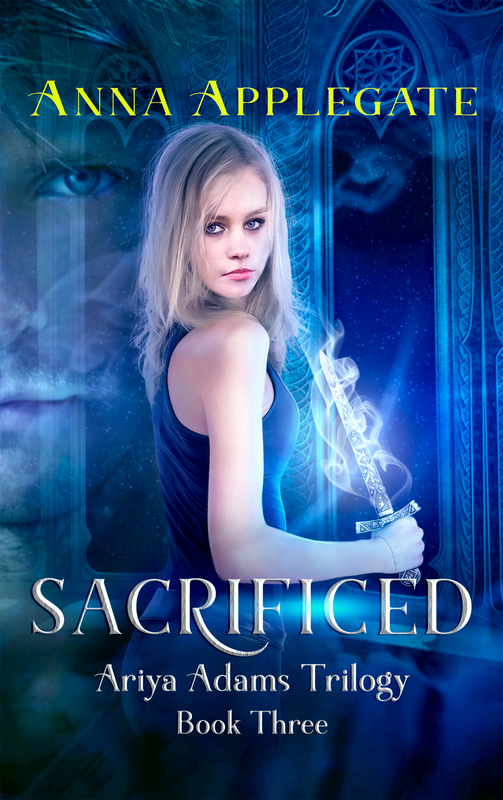 FINALLY — **Drum Roll please** The Sacrificed release date has been announced!! Book 3 in the Ariya Adams Trilogy will be available on Amazon Thursday, December 7th! I’ll be hosting a Release Party on my Facebook page that evening with lots of giveaways! Stay tuned for more details around that! I can’t wait for you all to get your hands on Sacrificed! Thank you, as always for your support and encouragement! Again, Happy Thanksgiving to you & your loved ones! Sacrificed is with my Lovely Beta Readers! So I hit “send” earlier today to my incredible Beta Readers for Sacrificed! It’s in their hands so I can get their feedback on what they think of Book 3 in the Ariya Adams Trilogy! This means we are only a few weeks away from launch! I’ll be working through comments and feedback from my betas whenever they finish their read through and then it will just be minor tweaks and formatting! I thought I’d share the good news update! We’re really close and I’m so excited for you all to get your hands on Sacrificed! Stay tuned for the upcoming Cover Reveal, a few teasers, and of course the announcement of a RELEASE DATE! The wait is almost over…THANK YOU as always for your excitement and support!